Rotterdam has one of the largest harbors in the world. 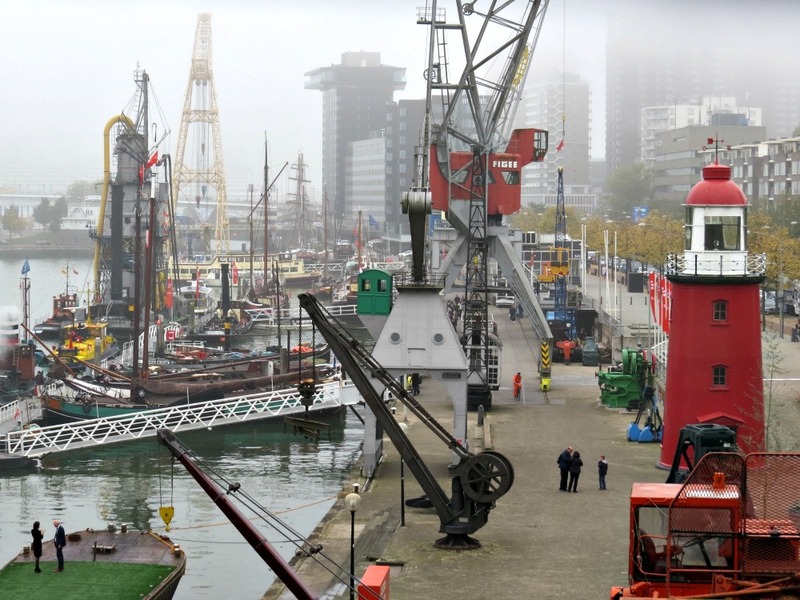 To understand more of this industry, and how it evolved, you should visit the Maritime Museum in Rotterdam. 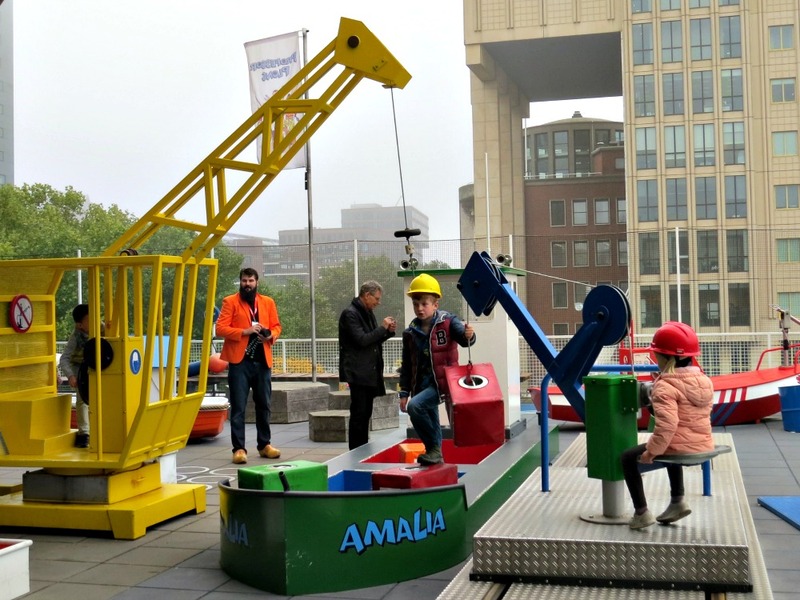 The Maritime Museum is located right in the center of Rotterdam, close to the Erasmus bridge. It has a lot of interesting displays. Both permanent and temporary exhibition give a great insight in life and work on board and in the harbor. The museum also has it's own harbor, with a collection of historic vessels. And starting in December 2016, a new exciting exposition starts: The Offshore Experience. We got a preview! But first, you should have a look at the Masterpieces of the museum. These are the objects from the rich history of Dutch seafaring. 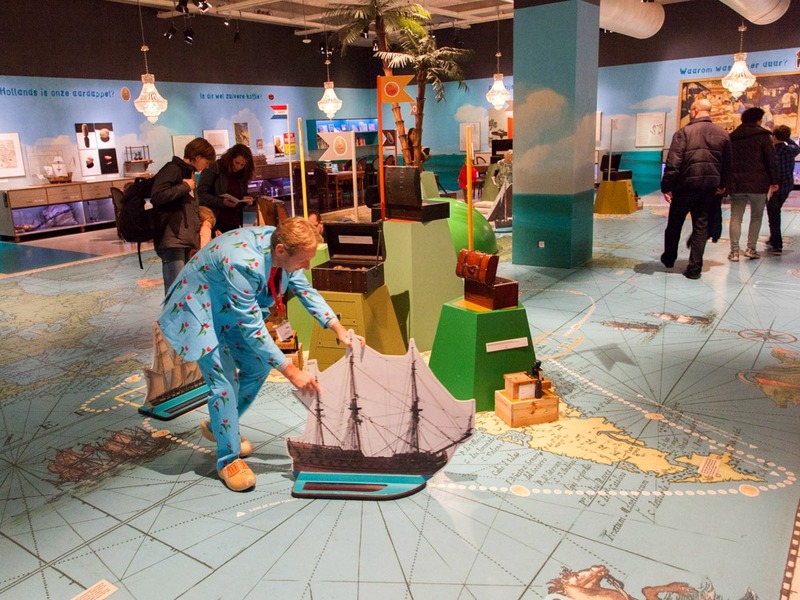 The collection includes old maps, created when Dutch ships explored the world. See how Australia was mapped as "Hollandia Nova", for instance. There are also great paintings, from the Dutch Golden Age. Once, these paintings decorated the houses of rich directors of the Dutch East Indian Company. But the absolute masterpiece is a 600 year old ship model. It means as much to the Maritime museum as the Nightwatch does to the Rijksmuseum in Amsterdam. 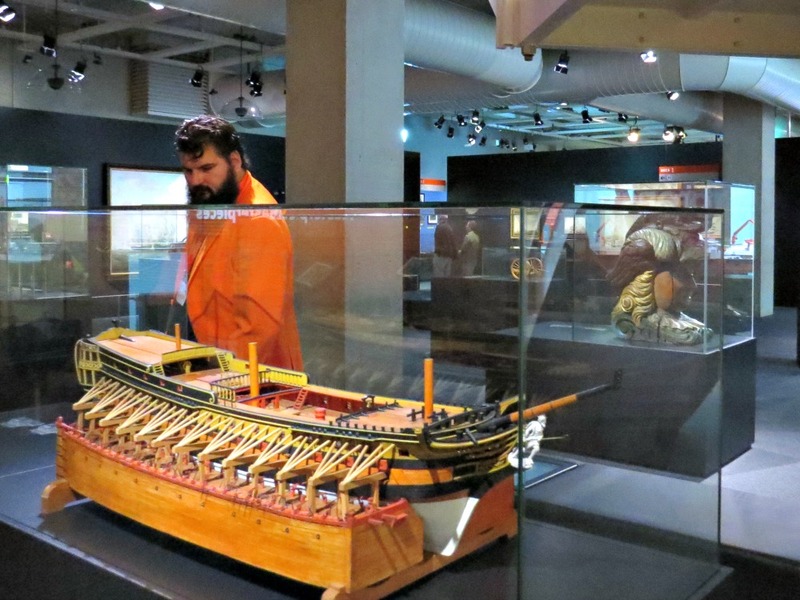 The Maritime Museums houses different temporary expositions. Many of them are interactive, inviting young and old to participate. Currently, you can find out how food it transported over the seas, before it lands on your plate. A nice exposition, in which you sail the oceans with your own ship. Other exhibitions let you discover cruise ships, house boats, and Brainwaves: exciting new innovations bringing in the maritime world. Although the whole museum is great for kids, there are extra separate playgrounds as well. Professor Plons (plons means splash) is a permanent exposition which celebrated its 25th anniversary. It is a playground, but one in which kids can learn all about sailing. There's an indoor and an outdoor section. In the latter, kids can transport goods with kranes, ships, and containers. Great to see how active the kids were playing here. In addition to the exhibitions inside, the museum acquired it's own piece of harbor outside. This part of the museum features several historic vessels. You can get on board of some of them. Talk to the skipper and boatsmen, who can tell you all about life and work in the harbor and at sea. And in summer months, some ships can even take you on a trip over the Maas and through the harbors. Once in a while, special ships come to the museum. Like the replica of the VOC ship "Halve Maen". Or the worlds largest ketsch (schooner with two masts) "Wylde Swan". 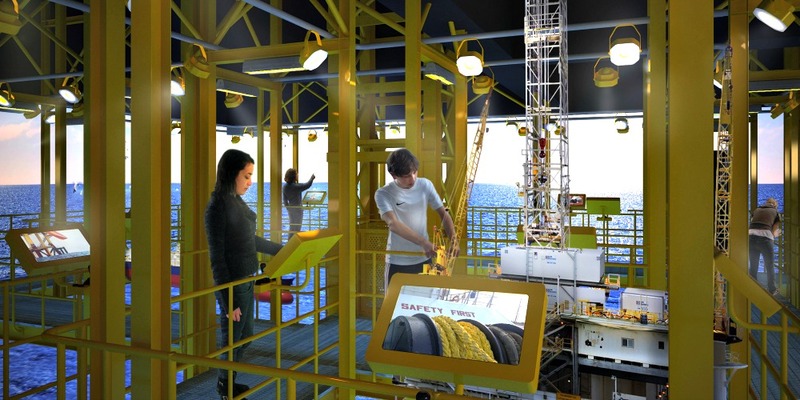 In December 2016, a exciting new exhibition starts: the Offshore Experience! 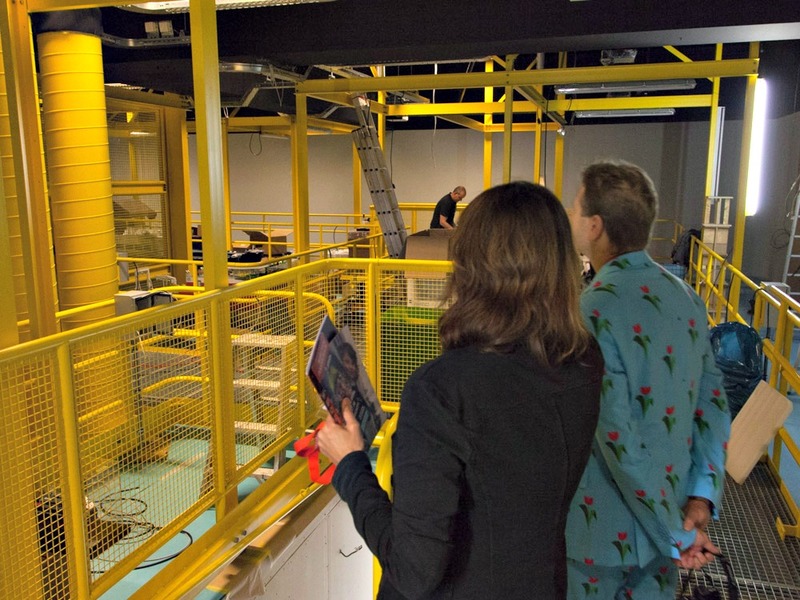 We were lucky enough to have a little preview of the exhibition, which was being built up during our visit. We saw how a large part of the museum was being transformed into an oil rig. You get to learn what it's like on the platform, and other water. With 360 degree projectors, interactive displays and models of advanced offshore ships, this will be a very exciting exhibition. You will learn all about drilling for oil. But you will also learn about energy, and how we can replace the oil consumption with alternative energy sources. 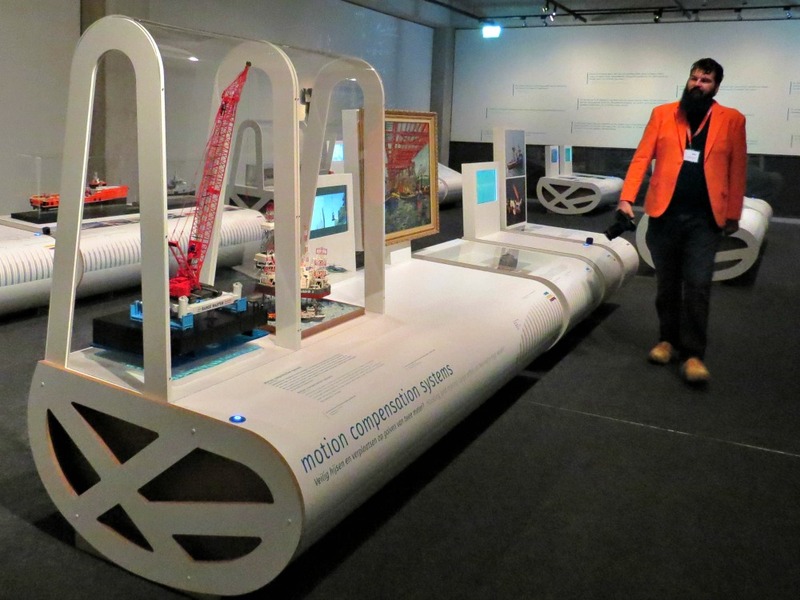 It will be yet another important reason why you should visit the Maritime Museum in Rotterdam!